Maurice Merleau-Ponty (March 14, 1908 – May 4, 1961) was a French philosopher, strongly influenced by the phenomenology of Edmund Husserl and the hermeneutic philosophy of Martin Heidegger. He is sometimes considered an existentialist thinker because of his close association with Jean-Paul Sartre, though significant differences remain between these thinkers. Merleau-Ponty’s primary philosophical contributions are his emphasis on perception and his notion of corporeality as the lived bodily experience of the world, which for him is the basis of all knowledge. His later work focuses on the role of language and the spontaneity of expression. His work has influenced many areas of philosophy, particularly that of cognitive science, feminism, and environmental philosophy. Merleau-Ponty was born on March 14, 1908, in Rochefort-sur-Mer, France. In 1930 he received his aggregation in philosophy at the Ecole Normale Supérieure, where he met Jean-Paul Sartre. Afterwards Merleau-Ponty taught philosophy at a number of different high schools throughout France. He completed his Docteur des Lettres after finishing his two dissertations that were to become his first major works, The Structure of Behavior (1942) and the Phenomenology of Perception (1945). In 1949, Merleau-Ponty was awarded the Chair of Child Psychology at the Sorbonne, and in 1952, at the age of forty-four, he was appointed the Chair of Philosophy at the College de France, the youngest person ever to achieve this position. 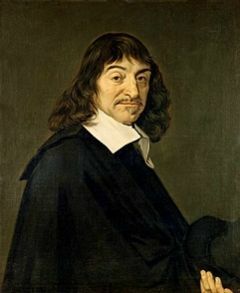 He held the position until May 1961, when he died suddenly of a stroke, apparently while preparing for a class on Descartes. Merleau-Ponty is interred in Le Père Lachaise Cemetery in Paris. In The Structure of Behavior and Phenomenology of Perception, Merleau-Ponty argued against the empirical or “naturalist” tradition (beginning with John Locke), which held that perception was the causal product of atomic sensations. At the time this atomist-causal conception was being perpetuated in certain psychological currents, particularly in behaviorist psychology. At the same time, however, Merleau-Ponty argued also against the rationalist or idealist tradition that gave primacy to the intellect in our understanding of the world. In contrast to both these positions Merleau-Ponty held that perception is the dominant, active dimension in knowing, in that it is the primordial openness to the lived world (Lebenswelt). This primordial openness, then, is at the heart of his thesis of the primacy of perception. Merleau-Ponty was greatly influenced by the phenomenology of Edmund Husserl, who held to the essential unity of consciousness in that "all consciousness is consciousness of something." Within this unity, however, a distinction can be made between the "act of thought" (noesis), which comes from the subject, and the "intentional object of thought" (noema), which comes from the object. In Husserlian phenomenology, the correlation between noesis and noema is the first step in the constitution of an analysis of consciousness. While studying the posthumous manuscripts of Husserl, Merleau-Ponty discovered certain aspects of Husserl's later work that called into question some of the claims of Husserl’s earlier work, for the later work revealed particular phenomena which cannot be assimilated within the noetic-noematic formulation. This is particularly the case when one attends to the primordial experiences of the body (which is at once body-subject and body-object), of subjective time (which is neither an act of consciousness nor an object of thought) and of the Other (which transcends all objectifications). For this reason, the distinction between "acts of thought" and "intentional objects of thought" does not constitute an irreducible ground, as Husserl had initially argued. Rather this correlation appears at a higher level of analysis; or in other words, it is founded on a more primordial ground. For this reason, Merleau-Ponty does not suppose at the outset a noetic-noematic ground. Instead, he develops the thesis according to which "all consciousness is perceptual consciousness." In doing this, he establishes a significant turn in the development of phenomenology, indicating that its conceptualizations should be re-examined in the light of the primacy of perception. Taking the study of perception as his point of departure, Merleau-Ponty was led to recognize that one's own body (le corps propre) is not only a thing, a potential object of study for science, but also a permanent condition of experience, a constituent of the perceptual openness to the world and its investment. The primacy of perception signifies a primacy of experience in so far as perception becomes an active and constitutive dimension. In his Phenomenology of Perception (1945), Merleau-Ponty develops the concept of the "body-subject" as an alternative to the cartesian "cogito." Rather than trying to establish the reality of essences, and in turn the world, on the primacy of the cogito, Merleau-Ponty held that consciousness, the world, and the human body as a perceiving thing are all intricately intertwined and mutually ‘engaged’. Moreover, against empiricism he held that the phenomenal thing is not the unchanging object of the natural sciences, but a correlate of our body and its sensory functions. Taking up and coinciding with the sensible qualities it encounters, the body as incarnated subjectivity intentionally reconstructs things within an ever-present world frame. This occurs not through its conscious intentions but through a pre-conscious, pre-predicative understanding of the world and the things in it. Things are that upon which our body has a grip, while the grip itself is a function of our connaturality with the world's things. The dependency upon experience and a corporeal subjectivity means we are limited to an essential partiality in our view of things. Nonetheless, the fact that things are given only in a certain perspective and at a certain moment in time does not diminish their reality, but on the contrary establishes it, as there is no other way for things to be co-present with us. The thing seen in perspective transcends our view and yet is immanent in it. By a pre-conscious act of ‘original faith’ we immediately place this phenomenal thing in the world, where it blends in with other things and behaves like any "figure" against a certain background. Just as much as our own unity as a bodily subject is not a unity in thought, but one that is experienced in our interaction with our surroundings, so the unity of the thing is ‘perceived’ as pervading all of its perspectives. We do not consciously construct the thing, but rather allow it to construct itself before our eyes; only when this unconscious process results in perceptive ambiguity (i.e., when the body is unable to present us the thing in any clearly articulated way) does the subject consciously interfere and clarify his perception. Apart from such instances, the subjectivity of the perceiving body operates unknown within the subject, engaging the pre-objective factuality of the world in which it too participates. Thus, in this way we encounter meaningful things in a unified though ever open-ended world. The highlighting of corporeality as intrinsically having a dimension of expressivity that is fundamental to the constitution of the Ego is one of the conclusions from The Structure of Behavior that is constantly reiterated in Merleau-Ponty's later works. Following this theme of expressivity, he goes on to examine how an incarnate subject is in a position to undertake actions that transcend the organic level of the body, such as in intellectual operations and the products and actions of one's cultural life. In doing this, he carefully considers language as the core of culture and examines the connections between the unfolding of thought and sense. In this way, he enriches his perspective not only by an analysis of the acquisition of language and the expressivity of the body, but also by taking into account the ‘logic’ of language, painting, cinema, literature, and poetry. It is important to clarify that Merleau-Ponty’s interest in diverse forms of art (visual, plastic, literary, poetic) was not primarily motivated by a concern for beauty as such. For he did not attempt to elaborate any normative criteria for art, and one does not find in his work a theoretical attempt to discern what constitutes the work of art. Rather his interest in aesthetics focuses mainly on his important distinction between primary and secondary modes of expression. This distinction appears in the Phenomenology of Perception and is sometimes repeated in terms of spoken and speaking language (language parlé et parlant). Spoken language (le language parlé), or secondary expression, relies on our ‘linguistic baggage’, that is, on the cultural heritage that we have acquired, as well as the brute mass of relationships between signs and significations. Speaking language (le language parlant), or primary expression, is language in the production of sense or meaning; it is language at the advent of thought, at the moment where thought breaks through and makes itself understood. It was speaking language or primary expression, then, that interested Merleau-Ponty in art and which motivated his treatment of the nature of production and the reception of expressions. This subject also overlaps his analysis of action, intentionality, perception, and the interconnections between freedom and external conditions. More particularly, in his discussion of painting, Merleau-Ponty says that at the moment of his creative work, the painter starts either with a certain idea and then tries to actualize it, or with the material and attempts to form a certain idea or emotion; in both cases, though, there exists in the activity of painting a pregnancy between the elaboration of expression and the sense or meaning that is created. Beginning with this basic description, then, Merleau-Ponty attempts to explicate the invariant structures that characterize expressivity, attempting to take account of the over-determination of sense that he had described in "Cezanne's Doubt." Also, among the structures to consider, the study of the notion of style occupied an important place in "Indirect Language and the Voices of Silence." In spite of certain similarities with André Malraux, Merleau-Ponty distinguishes himself from Malraux in respect to three conceptions of style, the last of which is employed in Malraux's "The Voices of Silence." Merleau-Ponty noted that "style" is sometimes used by Malraux in a highly subjective sense, understood as a projection of the artist's individuality. At other times it is used in a very metaphysical sense (in Merleau-Ponty's opinion, a mystical sense), in which style is connected with a conception of an "über-artist" expressing "the Spirit of painting." Finally, at still other times, style is reduced to simply designating a category of an artistic school or movement. For Merleau-Ponty, it is these uses of the notion of style that lead Malraux to postulate a cleavage between the objectivity of Italian Renaissance painting and the subjectivity of painting in his own time, a conclusion that Merleau-Ponty disputes. According to Merleau-Ponty, it is important to consider the heart of this problematic, by recognizing that style is first of all a demand owed to the primacy of perception, which also implies taking into consideration the dimensions of historicity and intersubjectivity. Despite Merleau-Ponty's own critical position with respect to science, his work has become a touchstone for anti-cognitivist strands of cognitive science. This has occurred largely through the influence of Hubert Dreyfus. Dreyfus' critique of cognitivism (or the computational account of the mind) in What Computers Can't Do consciously replays Merleau-Ponty's critique of intellectualist psychology in order to argue for the irreducibility of a corporeal know-how that occurs through discrete, syntactic processes. Moreover, through the publication in 1991 of The Embodied Mind (by Francisco Varela, Evan Thompson, and Eleanor Rosch) this association was extended to another strand of anti-cognitivist cognitive science, namely, “embodied” or “enactive cognitive science.” It is through the influence of Dreyfus and these others, then, that Merleau-Ponty (and phenomenology) became a focal point in theories of cognition. This has led, in turn, to various neurophysiological accounts of the interrelatedness of mind and body in the knowing process. Merleau-Ponty’s work has also drawn the interest of some Australian and Scandinavian philosophers, who have been inspired by the French feminist tradition, including Rosalyn Diprose and Iris Young. Diprose's recent work uses Merleau-Ponty conception of intercorporeality, or indistinction of perspectives, in order to critique individualistic identity politics from a feminist perspective. In doing this, she analyzes the irreducibility of generosity as a virtue, where generosity has a dual sense of both giving and being given. Iris Young, as well, uses Merleau-Ponty's phenomenology of the body in her essay "Throwing Like a Girl," and its follow-up, "'Throwing Like a Girl': Twenty Years Later." In these works Young analyzes the particular modalities of feminine bodily comportment as they differ from that of males. Young observes that while a man usually throws a ball by putting his whole body into the motion, a woman generally restricts her movements as she throws the ball; generally, then, in sports, women move in a more tentative and reactive way. Young refers to Merleau-Ponty’s argument that we experience the world in terms of the "I can"; in other words, we are oriented towards certain projects based on our capacities and habits. Young uses this in her thesis that in women, this intentionality is often inhibited and ambivalent rather than confident. Finally, Merleau-Ponty’s work has been appropriated as well by certain environmental thinkers in their attempt to forge an “eco-phenomenology.” Eco-phenomenology attempts to rethink the idea of “nature” through a phenomenological analysis of our experience of nature and the intrinsic relations which are operative within the world. Merleau-Ponty’s notion of corporeality suggests an inner-dynamism within the play of nature. David Abram, for example, explains Merleau-Ponty's concept of "the Flesh" as "the mysterious tissue or matrix that underlies and gives rise to both the perceiver and the perceived as interdependent aspects of its spontaneous activity." (Abram, 66.) This leads to a concept of nature in which subject and object are dialectically united as determinations within a more primordial, unified reality. The Essential Writings of Merleau-Ponty. ed. Fisher. New York: Harcourt, 1969. Humanism and Terror: An Essay on the Communist Problem. trans. O'Neill. Boston: Beacon Press, 1969. Phenomenology of Perception. trans. Smith. London: Routledge and Kegan Paul, 1962. The Primacy of Perception: and Other Essays on Phenomenology, Psychology, the Philosophy of Art, History and Politics. ed. Edie. Evanston: Northwestern University Press, 1964. Prose of the World. trans. O'Neill. Evanston: Northwestern University Press, 1969. Sense and Nonsense. trans. Dreyfus & Dreyfus. Evanston: Northwestern University Press, 1964. Signs. trans. McCleary. Evanston: Northwestern University Press, 1964. The Structure of Behaviour. trans. Fischer. London: Metheun, 1965. The Visible and the Invisible. trans. Lingis. Evanston: Northwestern University Press, 1968. This page was last modified on 4 September 2018, at 15:47.